One reader has asked about the results of the faulted selection method for Vice President prior to Amendment XII taking effect for the 1804 election. Before Amendment XII the loser of the presidential election became Vice President. Sometimes this created strange bedfellows as my previous post discussed. Not contentious because after all how could Adams argue that Washington, the Father of His Country, should not be first president of his country. Adams felt presidents should only serve one term and his also disagreed with Washington’s handling of many issues. A rift developed, but Washington was stuck with Adams. President John Adams (Federalist), Vice President Thomas Jefferson (Democratic-Republican) Jefferson held almost complete opposite views on issues of the day. Jefferson stayed away and was hardly seen around Washington during Adam’s term. In this election both Jefferson and Burr wanted to be president and even though they were of the same political party, they held widely differing views. They ended up tied with 73 Electoral Votes each. This assured both men of at least one of the highest offices of the land. In accordance with the Constitution, the House of Representatives decided the result for the first time in history. After 36 ballots, the House elected Jefferson president and Burr vice president. Burr refused to remove himself from consideration even after pleading from his and Jefferson’s party. This created animosity between Jefferson and Burr. In addition Alexander Hamilton of the Federalist-controlled House advocated Jefferson as the lesser political evil than Burr. Later while Burr was vice president he killed Hamilton in a duel. This destroyed Burr’s career because Hamilton was very popular. 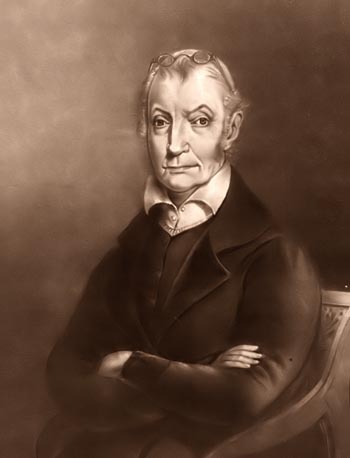 Jefferson did not retain Burr as his vice presidential running mate in the election of 1804, the first one held under the new rules. Having the loser become vice president and remain as part of the winner’s administration created many problems. Chief of these was the fact the vice president’s primary duty was to preside over the Senate and cast the deciding vote on legislation in the event of a tie. This came back to haunt the presidents several times. In the early years of the United States voters balloted for president only, not vice president. Electors were selected to vote in the Electoral College for president. No distinct Electors were to vote for a vice president. Here was the quirk. The Electors met after the general election in the state capitols and cast their votes for president. The candidate with the most votes became President of the United States, the candidate with the second largest number of votes became Vice President of the United States. If there was a tie, the Senate voted on who would become vice president. A tie for president was decided by the House of Representatives. So in fact the president was stuck with his opponent in the general election as the vice president in his administration. This was changed with Amendment XII of the Constitution passed by Congress December 9, 1803 and ratified June 15, 1804. Beginning with the election of 1804, there was distinct voting for president and vice president. Each part fielded a presidential and vice presidential candidate. To illustrate how ridiculous the original concept was let’s look at how some historical election results would have played out if the amendment was never passed. In the cases of presidents who died in office (dio), note the person who would have become president. You get the idea. History would be very different if the Constitution had not been amended to correct this quirk. The consitutional amendment took the vice president from being a political thorn in the president’s side, to a silent partner (very silent in most cases). Certainly vice presidents could still be embarassing to the administration as we will see in future posts. In this presidential election year one position becoming crucial to the candidates, is their choice of running mate. For those uninitiated a “running mate” is the party’s nominee for the office of Vice President of the United States. This individual is usually selected by the nominee for President, and then voted on at the convention by the party. This individual, if elected, succeeds to the presidency in the event of removal from office, death, or resignation of the sitting president. Historically the position has been considered unimportant. No one wants the worst case scenario of losing the elected president, but that possibility is very real based on history. In my opinion much more attention needs to be placed on the selection of the vice presidential candidates. After all it is possible this individual may become president. The vice president is the nation’s insurance policy. Senator John McCann is the presumptive Republican nominee for president this year. If elected he would be the oldest person to be inaugurated at age 72 years. Today he released his medical records which show he is healthy and his cancer of a few years ago has not reappeared. McCann is extremely qualified to be president based on his years of experience in politics and in the military. Conservatives say he is not conservative enough, Democrats say he is too conservative. He is presently conducting a search for his running mate. He needs to select a much younger person, but one with experience. The candidate will likely be from a large northern state to balance the ticket, McCann is the senator from Arizona, so perhaps someone from Ohio or a similar state. Mitt Romney is in the running because of his support in New England. On the Democratic side the likely nominee is Barack Obama the junior senator from Illinois. When he choses a running mate that person should be older than him with more experience. Barack has very little experience in foreign affairs, so it is likely someone strong in foreign affairs would be selected. Obama’s selection will likely be white and perhaps from a southern state such as Florida or Texas which he would need to win in the general election. Whoever the nominees of both parties select needs to be qualified, experienced and able to serve as president. The position of vice president is not unimportant. Eight vice presidents have succeeded to the presidency, seven because of the death of the sitting president, and one on the resignation of the president. 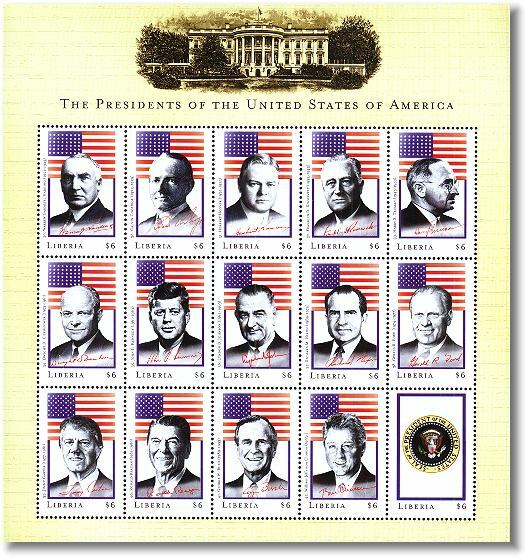 There have been several unsuccessful assassination attempts, health issues with presidents, and two attempts to remove presidents from office (impeachments). It is clear the person holding the office of vice president is very important. More attention needs to be paid to the selection process, and once elected the vice president needs to be kept in the loop of the administration. Still think the vice presidency is unimportant? Stay tuned for more postings related to this fascinating position created by the Founding Fathers in the Constitution, and the men who have held it. 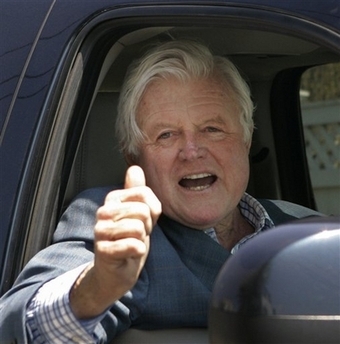 This week Senator Edward Kennedy found out he has a malignant brain tumor. It appears this is inoperable, but can be treated with chemotherapy. As a Kennedy admirer I want to wish him well. Joseph Kennedy, Jr. killed on a high-risk, volunteer bombing mission during World War II. President John F. Kennedy assassinated while serving his presidential term. JFK also served 12 years in the U.S. Senate and House of Representatives before becoming President. He also served in the U.S. Navy in World War II. Senator Robert F. Kennedy assassinated while running for higher office. He was serving the people of New York as one of their elected senators at the time of his death. Senator Edward Kennedy has served as the United States Senator from Massachusetts since 1962. He is one of only three senators to serve over 40 years in the United States Senate. Ted is considered one of the most effective senators ever based on the amount of significant legislation he has helped enact. 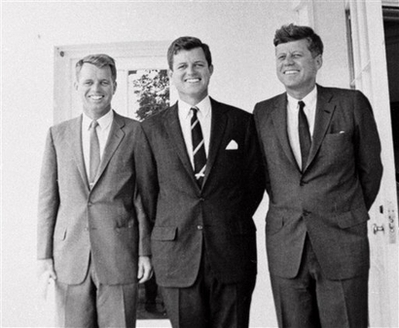 All of the Kennedy brothers were advocates for the disadvantaged. Whether you admired them or despised them, few families have given as much of themselves in the service of their country. Like everyone the Kennedy’s had their faults and problems, but they continue to persevere. Is it a bird? Is it a plane? No it’s jet-man!! AP photo: Yves Rossy flying his jet wing. You have got to see this to believe it. 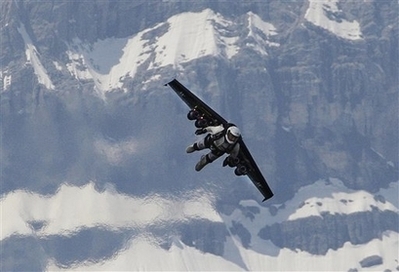 A Swiss pilot strapped a wing on his back and went flying in the Alps. The difference is this wing has four jet engines attached. He exited a light plane at an altitude of 7,500 feet, triggered the jet engines and accelerated to 186 miles per hour. He even performed a few acrobatic manovers before landing. Power for his strap-on wing is provided by four German-built model aircraft engines. They put out 200 pounds of thrust. Yves Rossy, a 48 year old former military pilot, put on the performance for the media after five years of training. Rossy has to concentrate on relaxing while flying his wing because if he gets too tense, it can cause him to change direction suddenly, not a good thing. If something does go wrong he can jettison the wing and open a parachute he carries. He also has to wear a heat-resistant suit to protect him from the heat of the engines on his back. What’s next? Well later this year he hopes to cross the English Channel a distance of about 22 miles. One of his longer term goals is to fly through the Grand Canyon. News reports numb us. The massive earthquake that hit China’s southwest provinces on Monday May 12th is just one example. We find it hard to imagine what it all means. Visualize a city of 50,000 people in Canada or the United States. Now imagine all the population being killed within a few minutes. Sobering isn’t it. All of the 50,000 had families and stories behind their lost lives. I cry for the children especially. One minute they were in class revelling in the joy of learning, the next they were dead or severely injured as their schools came crashing down on them. Here are some pictures from Reuters that tell the real story without words. Look at them and say a prayer for their young lives lost. Then when you read the reports of such disasters know the human tragedy is not just a number. 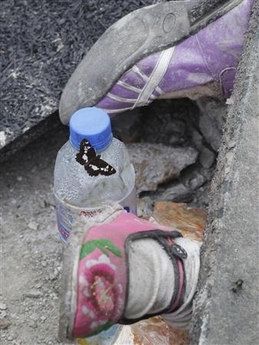 Feet of dead school children in wreckage. 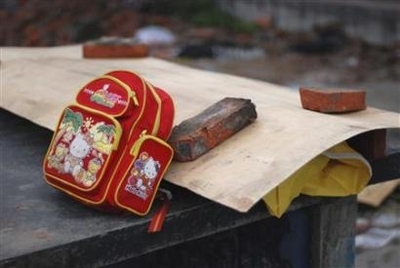 Backpack placed next to schoolchild killed in quake. You are currently browsing the WRITINGS & RAMBLINGS blog archives for May, 2008.